Now available from Measure-Tech Australia , the SAFETCHECK Pro Logger II provides users with features unique amongst portable appliance testers (PAT testers). The Pro Logger II PAT tester has been designed and manufactured in Australia to test electrical appliances, ensuring they comply with the requirements of the current Australian and New Zealand standard AS/NZS 3760. The Pro Logger II features Check Connect technology, a feature unique to these PAT testers. Check Connect ensures that any Class II appliance is correctly connected to the PAT tester, resulting in a pass or fail that can be trusted. Operation of the Pro Logger II is simple. The user needs only connect the appliance, select the appliance type from a pre-programmed list, and start the test. The result is a pass or fail, clearly indicated on the LCD display within approximately four seconds. The Pro Logger II PAT tester has pre-programmed test parameters for specific appliances, such as mineral insulated metal sheath heaters and EPODS, as well as appliances that cannot normally be tested. Featuring a fully integrated data logger, provided with PC Interface software at no extra cost, the Pro Logger II can store up to 2000 test records, each stored with the actual time and date of the test. Records can then be easily uploaded to a PC, and are always appended to the internal memory and to PC’s data file. The Pro Logger II is the only PAT tester to use a stainless steel cloak, incorporating the Check Connect feature to ensure a thorough insulation resistance test and the safety of the operator and the appliance at all times. 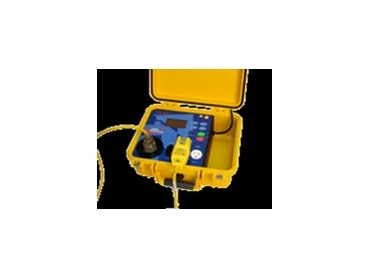 The Pro Logger II PAT tester is also able to conduct a leakage current test to measure an appliances leakage current (if mains power is required to operate the appliances on/off switch). power requirement of 240V +/-10% 50Hz. rechargeable, internal battery supply of more than seven hours (for insulation resistance tests only; under normal operating conditions).